So I just got back from another fun-filled vacation to your favorite place and mine – Walt Disney World! While I was there I did a bit of shopping and picked up some adorable items to giveaway over the next few months. First up – a set of six Color Fusion Mickey Coasters. I actually have a set of these coasters myself, and I absolutely love them. They are so bright and cheery; you can’t help but smile when you use them! 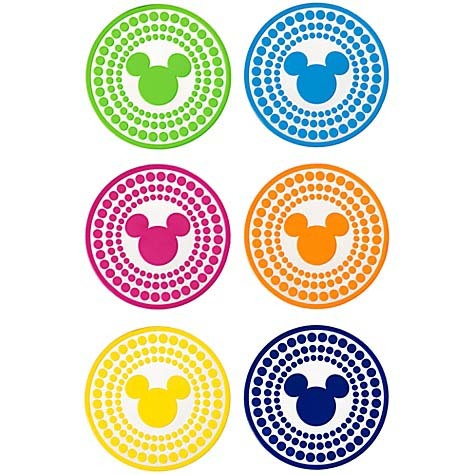 From now through Friday, November 13, 2015 at midnight, please enter daily to win a set of Color Fusion Mickey Coasters. Just click the image below and follow the instructions to be entered into the giveaway. Be sure to take advantage of the bonus entries, and please tell your friends and family to enter as well!